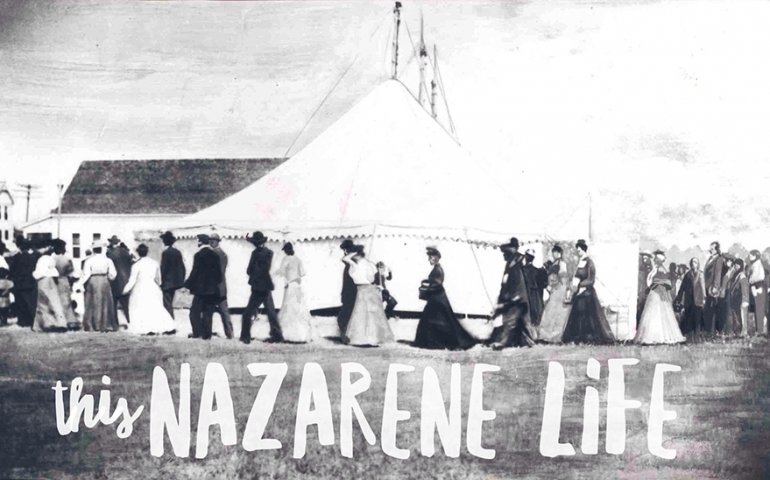 Millennial Nazarene students are leading different lives from generations before them. As well as producing, she is the co-college and community group pastor at OKC First Church of the Nazarene with her husband, Aaron. Bolerjack also teaches adjunct in the theology department at SNU. Both of her jobs helped to inspire her for the creation of a peacemaking tool between these groups. This led to the creation of This Nazarene Life, “A grassroots podcast featuring stories of young Church of the Nazarene clergy & their role models.” Bolerjack strives to have people tell their stories of being young clergy in the Church of the Nazarene; the original thought was to have topical episodes involving legislation, ordination.. etc. but it turned into people telling their stories about the topics at hand. So far, the podcast contains 19 episodes. Bolerjack aims to have one or two of every five episodes contain international interviewees and aims to have an equal amount of men and women. All interviewees are clergy from the younger generation. Every fifth episode is a “role model” episode, which is someone from the older generation speaking about their hopes for the clergy that will be the next generation of Nazarene voices. Yes, the podcast is intended for young clergy to feel encouraged, but these episodes tell stories of real people in the Church of the Nazarene around the world. “If you are at all curious of what it means to be a part of the Church of the Nazarene or in [their] stories; stories about young people making a difference in their communities, finding themselves in their callings.. I think those are relatable to anyone,” Bolerjack says. Inspired by the podcast, Bolerjack made a meetup guide for young clergy. The hope for these meetings is to have a place for young clergy to meet and find hope and encouragement through each other. There was a meetup at the 2016 USA/Canada Theology Conference, in September, with a turnout of around 70 people; there was another meetup held in Massachusetts, and it had a turnout of around 15. The goal is to have a young clergy meet up at every large Nazarene gathering. If you would like to subscribe or listen to specific episodes, they are all available on thisnazlife.com. You can listen directly from the website or through subscribing to other podcast listening apps and websites. Episodes are released most Monday mornings. To reach Rev. Bolerjack for interview nominations, questions or comments, email her at thisnazlife@gmail.com. The instagram, twitter, and facebook page can all be found under @thisnazlife. Prev PostTWIRP 2016 Is Almost Here!